Description: The original version of the present volume was published on thew day of the fifteenth anniversary of the very first container voyage; today, it is treated as the first complete history of the shipping container. 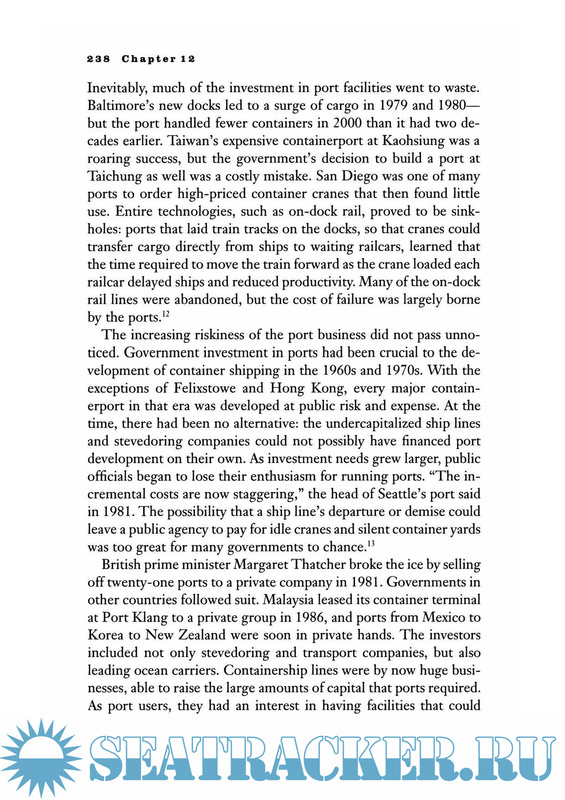 The publication is recounting how the containerization proceeded the entire path starting from a quite impractical idea and until the time when it turned into a really massive industry slashing the cost of worldwide transportation of cargoes and eventually resulting in the real boom in the global trade. However, the "containerization" of the world did not just happen. The adoption of the container required great money and required years of negotiations on the applicable standards that finally made it possible for the containers to travel on vessel or train or truck. 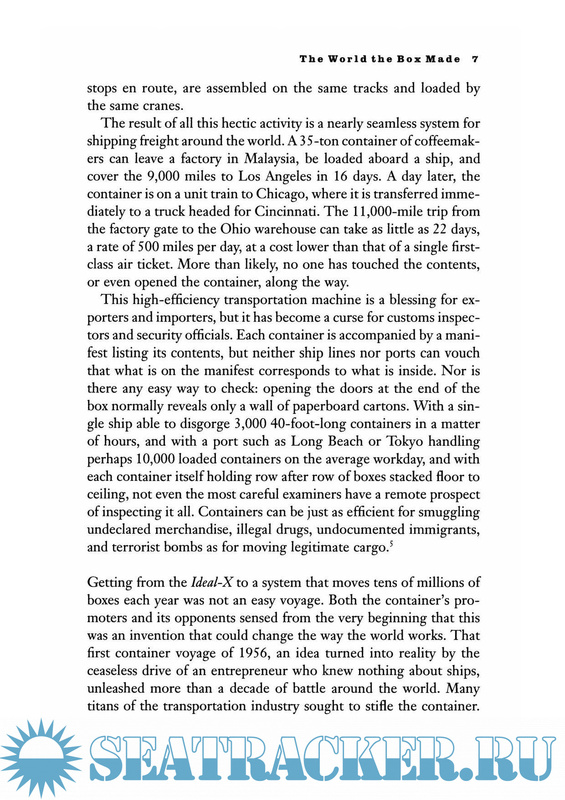 In his publication, the famous economist of today, Marc Levinson, is demonstrating how the containers managed to transform the economic geography thus devastating the traditional ports such as New York and London fueling the growth of ones that were previously obscure. The volume provides the information that would be different to the people of any transportation industry not limited to the maritime shipping since the containers are used virtually everywhere.